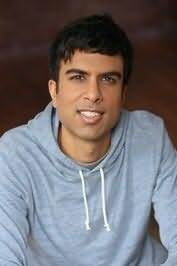 Soman Chainani's first novel, The School for Good and Evil, debuted on the New York Times Bestseller List, has been on ABA's National Indie Bestseller List for 11 weeks, has been translated into languages across six continents, and will soon be a major motion picture from Universal Studios. As a writer and film director, Soman's films have played at over 150 film festivals around the world, winning more than 30 jury and audience prizes, and his writing awards include honors from Big Bear Lake, New Draft, the CAPE Foundation, the Sun Valley Writers Fellowship, and the coveted Shasha Grant, awarded by a jury of international film executives. When he's not telling stories or teaching in New York City, Soman is a die-hard tennis player who never lost a first-round match for ten years . . . until he started writing The School for Good and Evil. Now he loses all the time. "A bold, big-hearted start to a groundbreaking new series." "Nightbooks is another winner from J.A. White. A creepy, thrilling reinvention of Hansel and Gretel that leaves us both frightened for our hero and also impressed by his resourcefulness. J.A. White is a fantastic writer and spins a dark fairy tale that will keep kids up all night." "The stakes are huge, the action high-throttle, but what readers will remember most is its big, emotional heart. . . A truly spectacular adventure."